Kinshasa (AFP) - Three men kidnapped in the east of the Democratic Republic of Congo work for a specialised private firm subcontracted by the UN anti-mine service, the UN mission in the country said Friday. "These are not UN personnel, they are private agents employed by a private company hired by (the UN Mine Action Service) UNMAS," Charles Bambara, information director at the mission in the Congo (MONUSCO) told AFP. 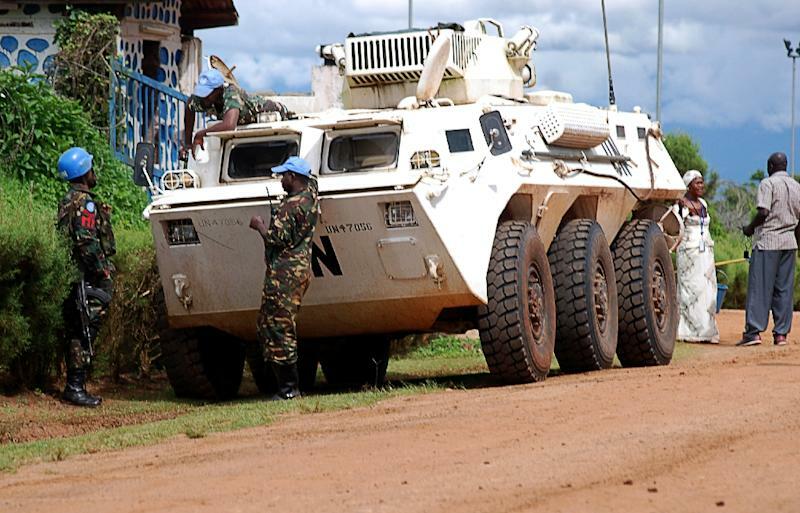 Nobody has claimed responsibility for Thursday's abduction of the three men at Kibumba in North Kivu province, where a Congolese army officer said his troops had found an abandoned MONUSCO car with markings of the local UN demining team, known as UN-MAG. "The motor was running and the car was empty. Apparently those inside were kidnapped," added the officer, who asked not to be named. A UN official on Thursday told AFP that "three agents of MONUSCO ... were kidnapped at Kibumba," 30 miles (19 miles) north of Goma, the provincial capital. The men were identified as two Congolese and one foreigner. UN-MAG is responsible for disarming mines and defusing other unexploded weaponry in North Kivu, which has been wracked by conflict for more than 20 years and is a base for rebels and other armed groups. The three men disappeared as tension rose on the border with Rwanda, which sent troops into North Kivu in the same region near Kibumba, according to the DR Congo's armed forces. One Congolese soldier was wounded in an exchange of fire on Wednesday, the army said. "We have been informed of the infiltration of about 100 Rwandan troops," North Kivu governor Julien Paluku said on Thursday. Local people in Kibumba were mostly afraid to talk, but at the foot of a hill marking the border, an old man said that last Saturday "Rwandan soldiers went by.... They had lamps and spoke Kinyarwanda into their radios." The president of civil society associations of Nyiragongo, Mambo Kawaya, said he had alerted the authorities to "the incursion of Rwandan troops in the DRC". In the absence of President Paul Kagame, who is abroad, Rwandan authorities have refused to make any official comment on the report. However, Rwanda's deputy permanent representative to the United Nations, Olivier Nduhungirehe, denied it in a personal capacity. "This is baloney, as usual," he wrote on his Twitter account. "It seems that some in the DRC can't live a single year without blaming Rwanda!" Kagame frequently urges the DR Congo authorities to neutralise Hutu rebels of the Democratic Front for the Liberation of Rwanda (FDLR) long based across the border. Older members of the armed movement are blamed for taking part in the 1994 Rwandan genocide of some 800,000 people, mainly from the Tutsi minority, before the killers fled an army led by Kagame. Congo's army and MONUSCO troops were planning a joint offensive against the FDLR this year, but the UN pulled out when President Joseph Kabila's regime named army commanders accused of serious atrocities.